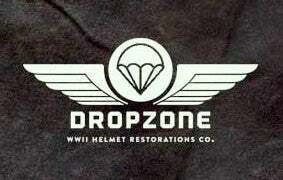 WWII 101ST AIRBORNE DIVISION 506TH M2 HELMET. D-DAY NORMANDY, HOLLAND, ARDENNES & GERMANY. Accurate M2 D-bale chinstraps with nickle snaps, custom made in my shop. (Early Cast buckle, Solid brass hardware & nickle snaps) The Helmet you see here is the very one you'll receive. Want to buy it but need more pics... Ask me! HELMET LINER: NO LINER IS INCLUDED IN ANY WAY SHAPE OR FORM.